The United Nations Educational, Scientific and Cultural Organization (UNESCO) maintains a long and growing list of international places and landmarks it considers worthy of its official seal as a ‘World Heritage Site.’ These are spots with special cultural, natural and/or historical significance which contribute to global patrimony and the legacy of human development. As of 2013, there were 981 designated UNESCO World Heritage Sites in 160 countries. Of those, 759 sites are recognized for their cultural significance, 193 for their natural value, and 29 are a mix of historical, natural and/or cultural importance. Cuba, a small country about the same size as Ohio, currently has nine World Heritage Sites – more than Egypt and South Africa, Israel and Indonesia. Three more Cuban landmarks are pending approval, which would give the island nation more UNESCO sites than Morocco, the Netherlands, and Argentina. Those who have been to Cuba before know that a visit here ensures genuine and meaningful exchanges with one of the country’s most precious resources: its people. But traveling around the island also affords the opportunity to visit these UNESCO sites. Several are in or near popular urban areas, allowing you to complement human encounters with experiences in some of the world’s most culturally significant, historically important and naturally pristine places. Alejandro de Humboldt National Park – This park straddling Holguín and Guantánamo provinces is one of the most biodiverse areas in the region. Within its boundaries, you’ll find some of the largest rivers in the Caribbean, several types of geological formations, and 1000 varieties of flowering plants and 145 different ferns. Endangered animals also call this habitat home, including the Cuban Amazon parrot and the docile manatee. 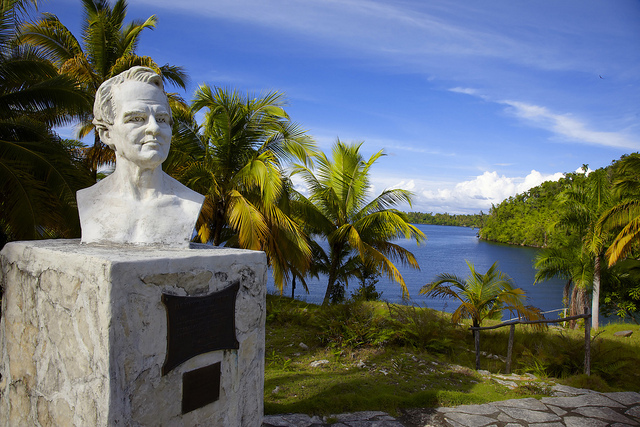 Desembarco del Granma National Park – An extraordinarily important site in the narrative of the Cuban Revolution, this is where Fidel Castro and his band of rebels made landfall in 1956 to launch the fight against dictator Fulgencio Batista. The ecosystems here are wonderfully diverse and include a singular karst geography, offshore reefs, some of the island’s last stands of tropical rain forest, and over 500 plant species – some only found here and several in threat of extinction. Old Havana and its Fortifications – Cuba’s first UNESCO World Heritage Site and the #1 tourist destination in the country, Old Havana and the Spanish-built forts across the Bay were officially recognized in 1982. Even a short walk around the capital’s historic core (dating from the early 1500s) transmits the architectural and cultural importance of this, the best restored colonial urban center in the Americas. Cross the bay to the Morro Castle and Cabaña fortress to experience a slice of Cuban history and you’ll also be treated to some of the best Malecón and Havana skyline views available. Trinidad and the Valle de los Ingenios – Old Havana may be the most meticulously, comprehensively restored historic core of any of Cuba’s cities, but Trinidad is a colonial gem in its own right and packs a wallop of added-value. It’s a manageable town where you can walk from plaza to square meeting locals en route and then climb hill and tower for panoramic views all the way to the Caribbean Sea. This is highly recommended since the surrounding countryside, including the ‘Valley of the Sugar Mills,’ the cradle of Cuba’s sugar boom in the 1700s, is gorgeous. 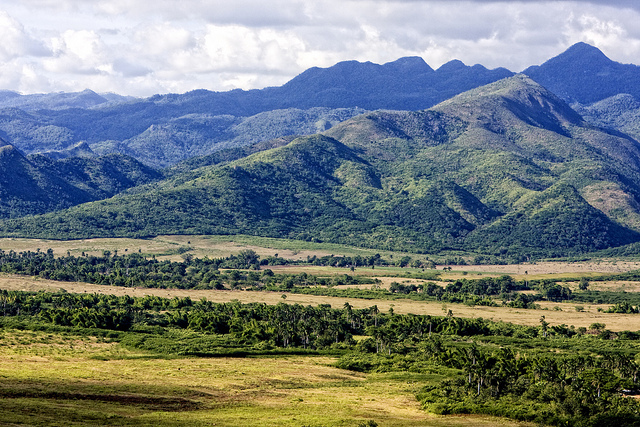 Viñales Valley – One of Cuba’s most spectacular physical landscapes is a couple of hours west of Havana in the Viñales Valley, where forested pincushion hills known as mogotes soar from the valley floor. This area is also one of the country’s top tobacco growing regions; part of the UNESCO distinction recognizes the traditional farming methods still used here, as well as the importance of the region during Cuba’s Wars of Independence. 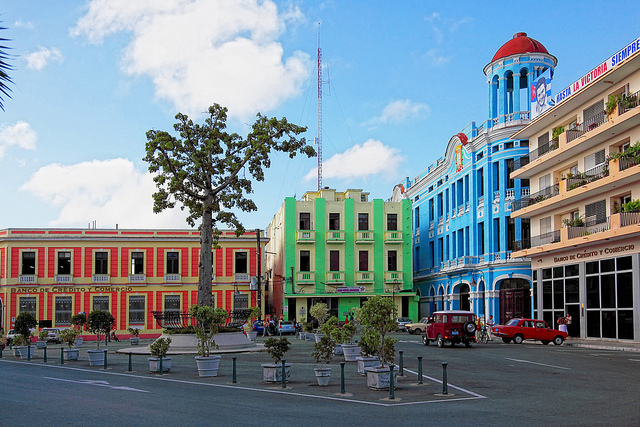 Urban Historic Center of Cienfuegos – Good things come in small packages goes the old saying and this certainly holds true for Cienfuegos, a charming seaside city on Cuba’s southern coast. Once a transshipment point for coffee, sugar cane, and tobacco thanks to it’s deep and wide natural bay, the former wealth of Cienfuegos is evident in the spectacular colonial architecture in the city center, including the Cathedral and the Teatro Terry. Urban Historic Center of Camagüey – Recognized in 2008, the historic core of Camagüey is the most recent addition to Cuba’s UNESCO World Heritage Sites. One of the original seven cities founded by the Spanish in Cuba, Camagüey had to be relocated twice since its founding in 1514 due to relentless pirate attacks. When settlers established themselves in the city’s current location, they were determined to deter pirates by confusing them. For this reason, the city’s historic core is a jumble of twisting streets and lanes, some of which double back on themselves or simply dead end. A walk around town here is an ambulatory history lesson. Archaeological Landscape of the First Coffee Plantations in South-East Cuba – Coffee is a way of life in Cuba, reflected in the small cups of the sweet, dark elixir you’ll be offered almost everywhere you go in your travels here. Throughout the 1800s and into the early part of the 20th century, coffee cultivation flourished in the mountainous eastern regions of Santiago de Cuba and Guantánamo provinces – where Cuba’s best coffee is still grown today. The UNESCO distinction recognizes the techniques used, as well as the significance of coffee plantations to the nation’s economy and culture. Castillo de San Pedro del Morro – This fortress some seven miles southwest of Santiago de Cuba (the capital of the province with the same name) was begun in 1633 and completed sixty years later. The massive Spanish fort incorporated Italian architectural elements (original designs were by an Italian engineer) and is considered the best-preserved colonial fort in the Caribbean. The views from the 180-foot high cliff upon which the fort is perched are stellar. Sites that are awaiting approval are Ciénaga de Zapata National Park (Matanzas); Cuba’s reef system (off the southern coast);and the National Schools of Art (Cubanacán neighborhood, Havana). Conner Gorry is Senior Editor at MEDICC Review and author of the Havana Good Time app, available for iPhone/Pad and Android. She blogs at Here is Havana and has two Cuba stories in the anthology Best Travel Writing 2012. Conner is also the brainchild of Cuba Libro, the island’s first English-language café and bookstore.